SCRIP Fundraising: Families can accumulate money toward tuition by using the school SCRIP program by which gift cards for numerous retailers (Strack’s, Ultra Foods, Speedway Gas, Kohl’s, iTunes, Walgreen’s, and many more) are purchased through school. A percentage of each gift card purchase goes to school, and another percentage goes towards your tuition. Each retailer offers a different percentage. Visit www.shopwithscrip.com and enroll with school code EE46CCCD3629 to see the lists of retailers and to take advantage of this opportunity. 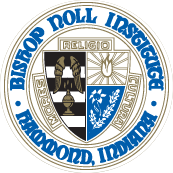 If you are interested in SCRIP, please contact May Velez at mvelez@bishopnoll.org or 219-932-9058 ext. 0.